Full family portrait sessions take some serious thought. Any photographer can shoot a blue backdrop studio session with the whole family in matching outfits, and sporting terrible haircuts for posterity's sake. There is nothing wrong with a family portrait session like that, but at Nakupenda, we strive for more. We did some family sessions in California this summer that felt completely different from the sessions here in town. We spent some time trying to determine what made these shoots so different? Was it the location? After all, sunset beach photographs are always beautiful. During our beach sessions, we had one shoot that stood out in our minds. The kids were racing each other around the beach. They knocked each other down a few times and then they'd dog pile on top of each other, giggling the whole time. There were tears when the tackling became painful, but they were short lived. It was chaotic, it was messy and that is what made this session beautiful. Our favorite photograph from this session was of the whole family, walking down the beach together. No one was posing. No one was trying to look good for the photograph. They were simply walking together, being themselves and that's when it clicked: the missing ingredient. That picture captured the essence of who this family was and what they loved to do. So we sought out a few families that wanted to break free from the traditional posed family portrait type. Annelise was one of the very first to respond and a new kind of family session was launched. The session was composed around a single question. What do you love to do as a family? Annelise told us that their favorite family activity was traveling. That's a great theme, but capturing it in a session is difficult. We talked about a road trip session, using some cool old cars but it didn't feel authentic. It wasn't true to who they were as a family. 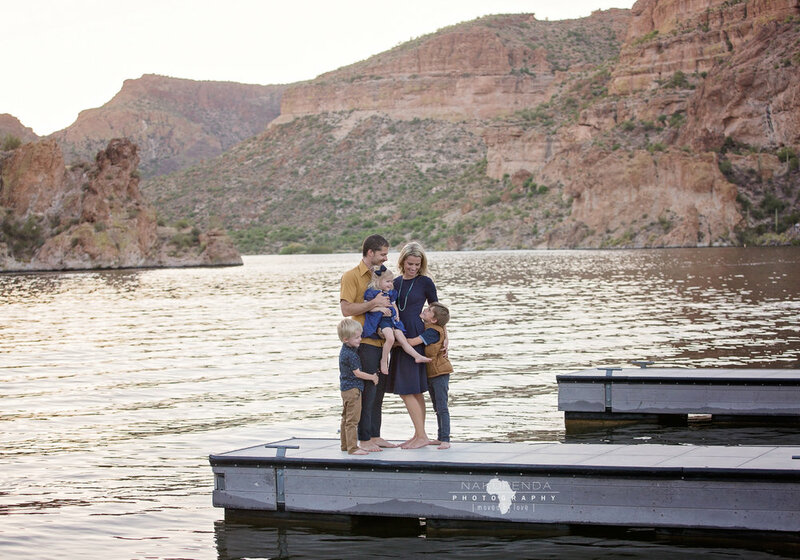 We threw around a few more ideas that didn't quite fit before we settled on the perfect idea: a boating session, and we knew The moment we selected this session we knew we had to go to Canyon Lake. There is something so stunning about the way the sun lights the canyon walls as it starts to set.. it was the perfect backdrop to our boating session. The immediate impact was simple. 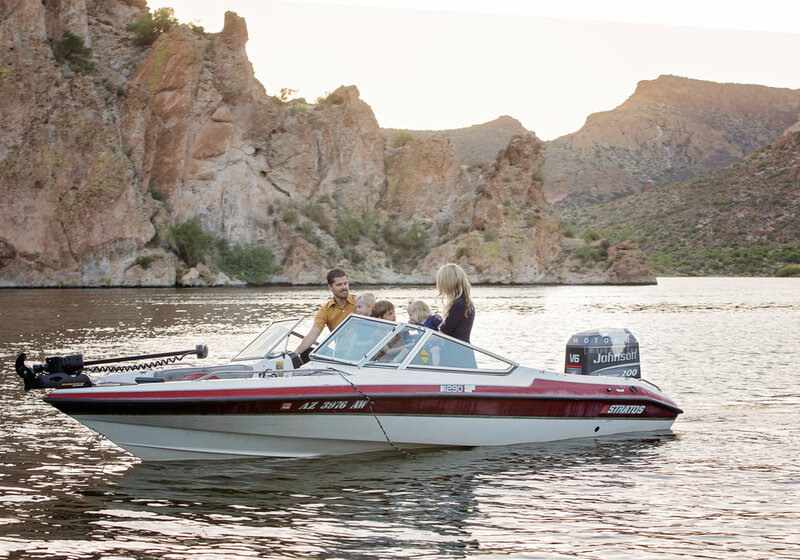 Boating was perfect for Annelise and her family. The whole atmosphere was relaxed, the night was beautiful and the photographs came out even better than we imagined. The family had fun and we learned something too: a good family photo session is one where the subjects can be themselves and enjoy spending time together. Click here to book an authentic, adventurous Family photo session with nakupenda Photography.